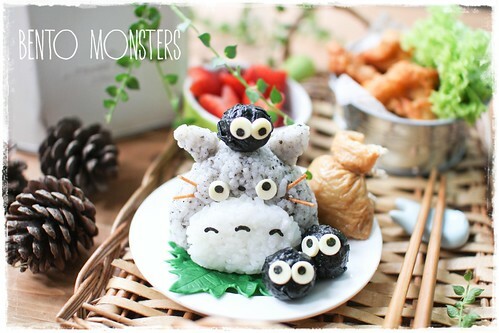 This is the Totoro lunch I made for LT. I showed IT the photo later that day and he asked me to make him something too the following day, lol. 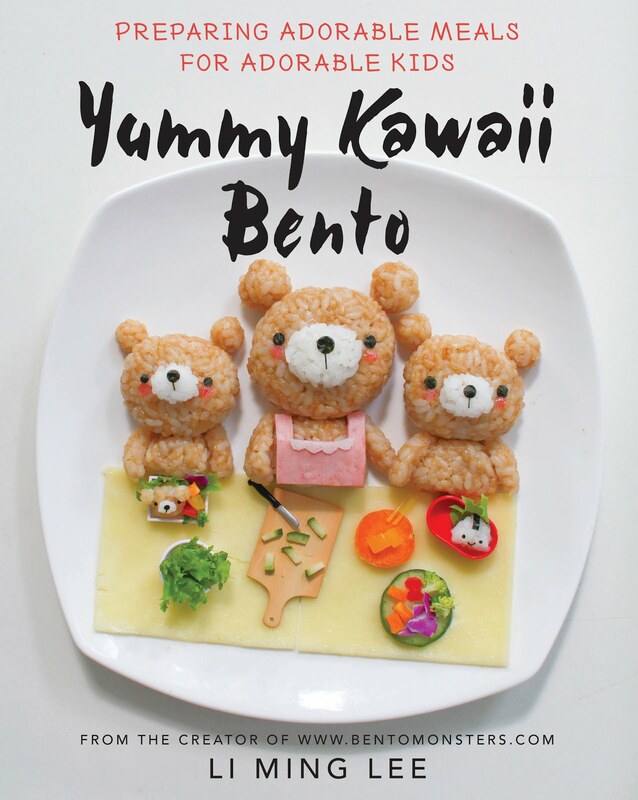 I did make another foodart just for him the next day, I'll share that in tomorrow's post. Did you notice the Totoro's sack behind him? I made that using an aburaage pouch, filled with some rice. 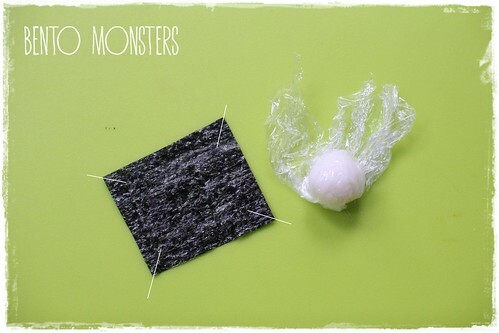 Using clingwrap, mould rice into triangular shape for Totoro's body and ovals for his ears. Set aside his ears. 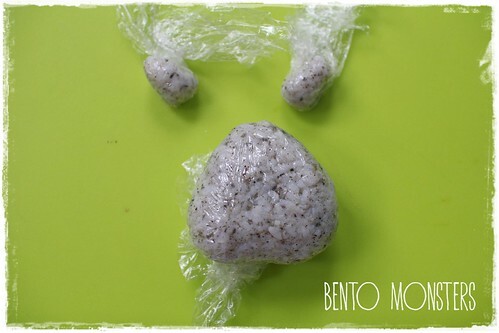 Take some white rice, place on cling wrap and mould into oval shape. 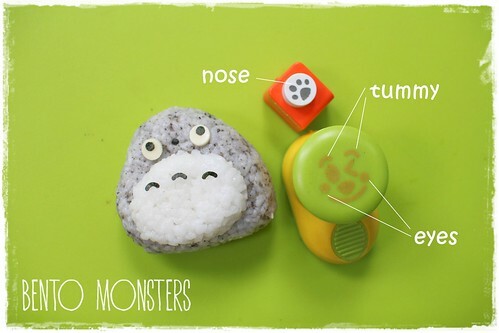 Use your hands to press into the grey onigiri at where the tummy should be. 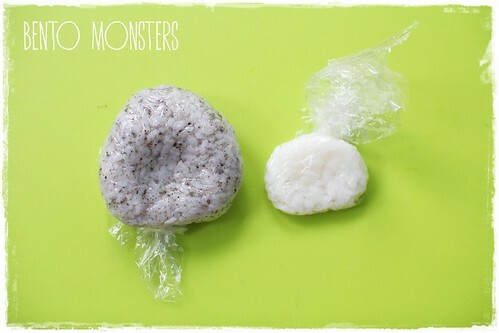 Place white oval on the grey onigiri. Wrap with cling wrap and shape it. 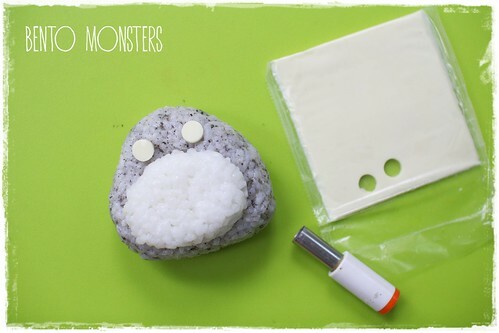 If you want Totoro to stand up, make sure you flatten the base of the onigiri. You can do so by placing the base of Totoro on the table, and slowly use your hands to flatten and shape. 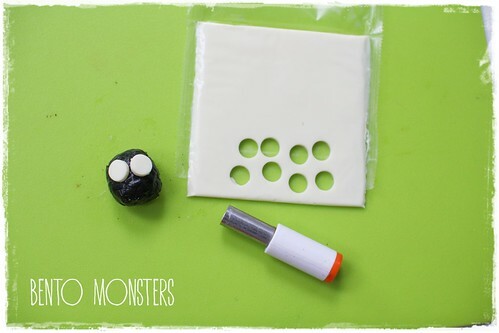 Cut out Totoro's eyes from cheese using a round cutter. You can use a big straw too, like those used for bubble tea. These are the punchers I used for the details on Totoro. If you do not have these, you can use a pair of sharp tip scissors to cut out the details instead. 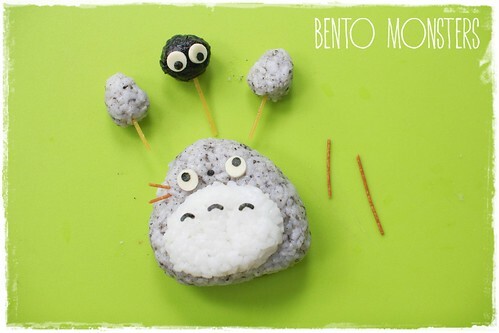 Set aside Totoro first. 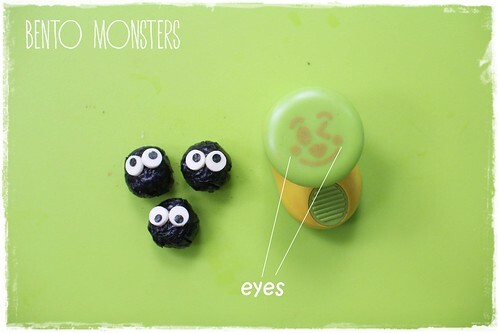 To make Susuwatari (the black soot), mould a ball of rice using cling wrap. 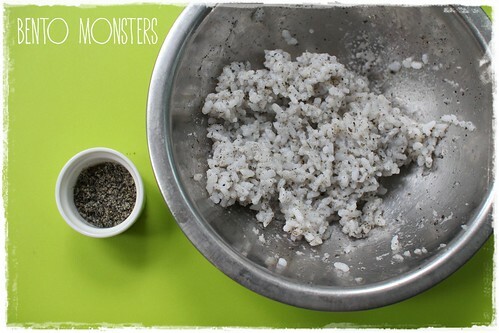 Cut out a small slice of seaweed, make cuts at the corners before wrapping the rice in them. 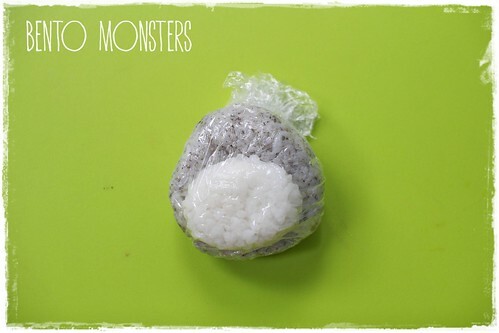 Cover with cling wrap and mould the seaweed rice, the seaweed will soften as you mould. Cut out eyes from cheese using a round cutter. The puncher I used for their eyes. I used uncooked pasta to attach on Totoro's ears and Susuwatari. The pasta will soften after some time due to moisture in the rice. You can also pan-fry the pasta in a little oil, the pasta will be crispy after frying. The ones I used for Totoro's whiskers have been pan-fried. Love it Ming. It's great to be back after a time off and see you still do such pretty bentos. Tanks for the step by step! Your tutorial always give clean clear steps! Thank you, Ming! This is so cute and you make it look so easy! Looks awesome! Thank you so much for this! 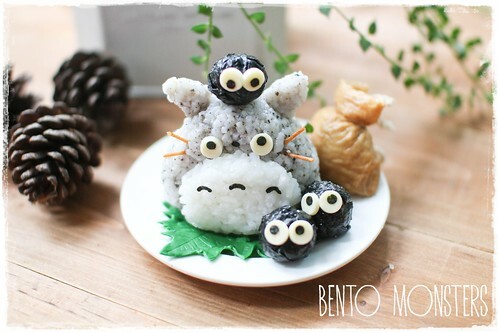 I can't wait to try for my Totoro-obsessed daughter! She loved my adaptation of your panda rolls, too! I want to eat this now ! :D way to cute! 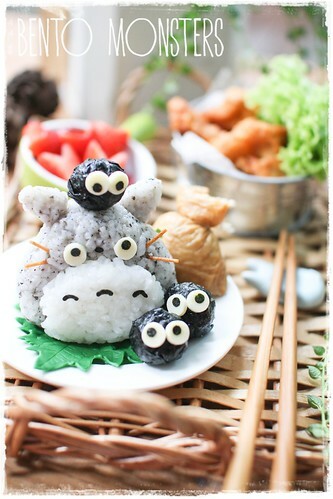 Hi..is very cute totoro bento.where to buy black sesame seed? After it mix with rice ,the rice will come out with grey colour? I bought it from NTUC finest. You can get from Daiso, they have ready grinded ones. Yes, correct, a little at a time till you are happy with grey shade, can add in pinch of salt if you like. Thanks for your reply.may i know the brand I should get for sesame seed at daiso? The words are all in japanese so I've no idea what the brand is. I've only seen one brand so far. Hope that helps. Hi...thanks alot for your Info.may I ask u one more Q? That grinded black sesame seed is no need cook right? Can directly sprinkles to rice..I hope I can find it also at daiso.because im from msia.. The grinded black sesame need cook first before mix to rice? No need to cook. Oh, sorry, I've no idea where to get sakura denbu in Malaysia, try those places that stock Japanese groceries stuff. Very upset..cant find the grinded black sesame seed at daiso here n sakura denbu.already try many places also failed.do u mind help me buy and send to me? Im willing to pay and postage also.i just want do a rice for my little girl. Hi! Can you email me at bentomonsters@gmail.com? I can't send you Sakura Denbu as it's usually sold at refrigerated section, so I'm not sure if it's safe to send. I can get you the grinded black sesame seeds. There's another sushi seasoning that can colour rice pink, it's sold at meidi-ya, but I hardly go there, if you can wait, I can get that for you the next time I go. Where to buy a sakura denbu? I find many place also dint found it..
Hope I can find it...thanks alot..
hi, where did you get the round cutter? (for the eyes) i cannot get it anywhere. It's from daiso, but a few years back. 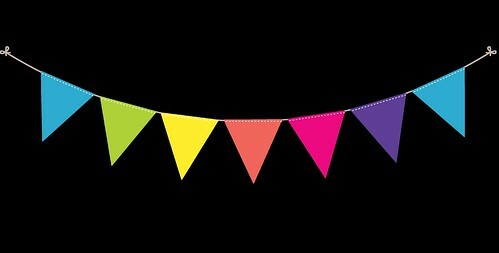 Comes in a set of 3, 2 different size circles and 1 oval. I've not seen them selling anymore, maybe it's discontinued.